Russell Investments produces a number of indices that focus on the broad market, size segments, styles and sectors. The most famous one is the Russell 2000 Index, which is a broad-based index focusing on small-caps. Russell Investments also produces the Russell 2000 Growth Index, the Russell 2000 Value Index, the Russell 1000 Technology RGS Index and other indices. 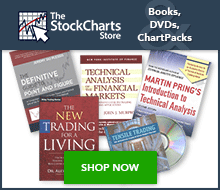 StockCharts.com users can access an up-to-date list of symbols for all our Russell Indices. From this list, click the “Mentions” icon to the right of a specific symbol for more details about the symbol, as well as recent mentions in Public ChartLists, blog articles, and more.